Well today I am big batch cooking, since I go back to work tomorrow and it’s so nice to come home to a half a prepared meal. Makes making dinner so much easier. Do you big batch cook? If not, I highly recommend it. It’s amazing the foods you can freeze, like bread, cookies, rice, sauces, chili, vegetables and more. I freeze just about everything I won’t use, so far no problems. 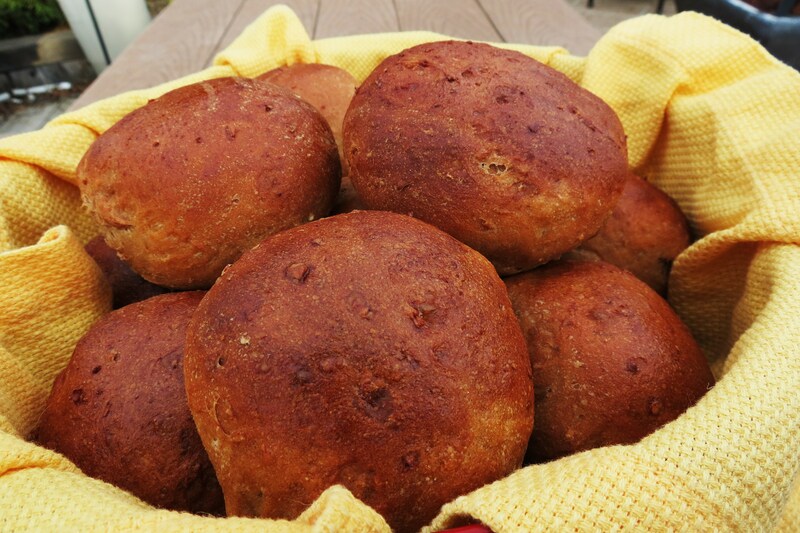 This weeks first big batch is Whole Wheat Dinner Rolls. 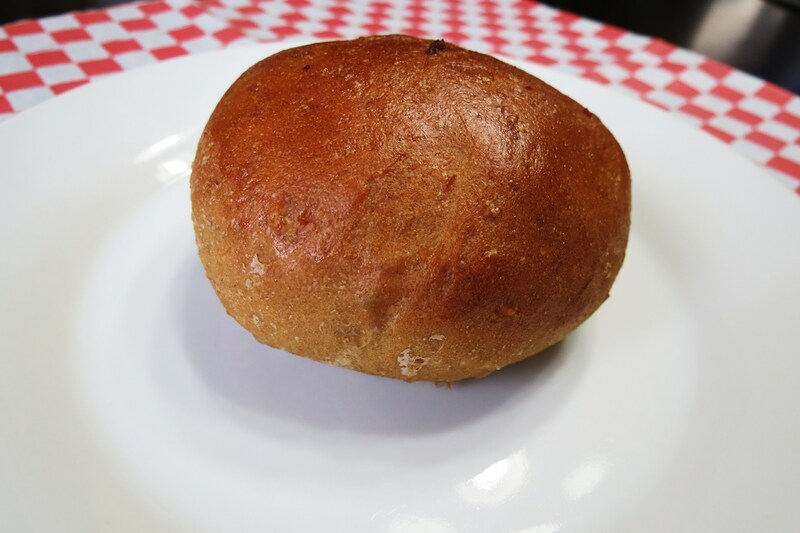 These rolls are a perfect size for dinner, for sliders or a sandwich. I made them 2.5 oz each, but if you make them 3oz, they’ll make a perfect hamburger roll. I got 19 rolls out of this batch, ate one for dinner and froze the rest. To freeze them I just place them in freezer bags. There are two way you can defrost them, the quickest is to microwave them for about 20 – 30 seconds then throw them in the oven for a few minutes to crisp up. Thats my favorite way, then they taste like you just baked them. Or if you know you will be having them for dinner, take them out of the freezer and place on the counter to defrost. Bread is so nice to freeze. I also defrost quick breads the same way. Take them out of the freezer the night before and in the morning you have nice soft bread waiting for you! 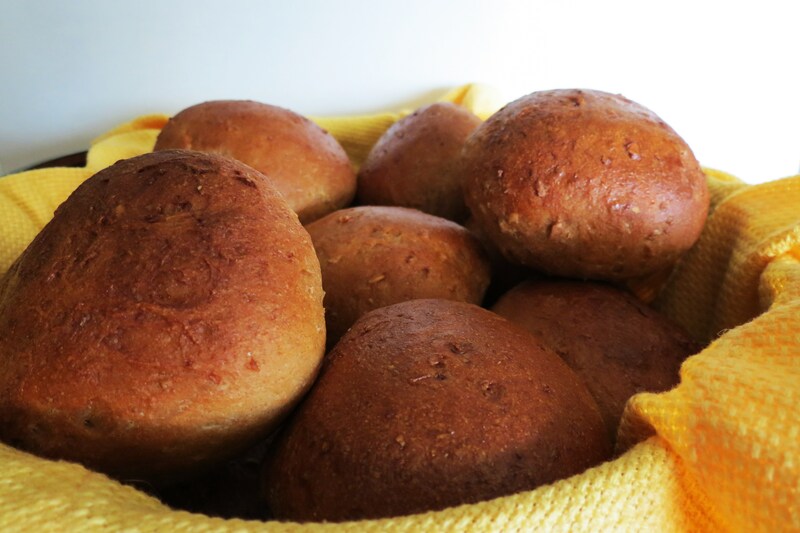 This was my first attempt of making whole wheat rolls, and I must say I am very pleased. There soft, slightly sweet but not to much and there healthy. You know what I put in them? Cooked, Coaches Oats Oatmeal. You would have no idea that oatmeal were in the rolls. You don’t see them, nor do you taste them, but they are in there. I also added some Wheat Germ for added protein. In a small saucepan, bring the 1 cup water and the Coaches Oats to a boil, turn down to medium low and simmer for about 6 minutes. Remove from heat and cool to lukewarm. Dissolve the yeast in a medium sized bowl with 1/3 cup warm water and the sugar. Stir together, then let sit 10 minutes. Add the Coach Oats mixture to yeast mixture and add the butter, salt, molasses, honey, wheat germ and milk to the bowl of an electric mixer and with the paddle attachment, mix together to combine. Add the one cup of whole wheat flour and two cups of the all purpose flour. Mix until well combined. Clean off the paddle attachment, scrape the sides of the bowl and add the dough attachment to the mixer. With the mixer going on low speed, add the remaining whole wheat flour a little at a time until the dough starts coming together. After two of the remaining cups are added, let the mixer “”knead” the dough for a minute or so. If it is still sticking to the sides, add about 1/4 cup more flour, let it mix. Keep adding a little flour at a time until the ball of dough no longer sticks to the sides. Let it knead for 8-10 minutes on medium-low speed. Remove the bowl from the mixer. Take the dough out of the bowl and spray it with cooking spray. Return the ball of dough to the bowl, cover it with a towel or plastic wrap and let sit in a warm, dry place for an hour until doubled in size (mine took almost 2 hours). Punch down the dough and make 2.50 ounce sized balls of dough—you’ll get about 19 rolls. Set them on a baking sheet and cover with a tea towel. Let them rise for about 45 minutes. During the last 20 minutes of rise time, preheat oven to 375 degrees. Fill a dutch oven or oven safe pot with water and place on the lowest shelf of the oven, this will add steam in the oven. Brush each roll with egg wash. Bake the rolls for 17-23 minutes (you may have to do this in two batches, unless you have a huge oven). Let the rolls sit on the baking sheet sit for a few minutes, then remove rolls from pan and place on a wire rack to cool completely. NOTE: Due to the molasses, the rolls will have a brown tone, so when your baking them, make sure the bottom has a light brown color to them, at first I thought I was over cooking the rolls, and I wasn’t, 19 minutes seemed to be perfect amount of time. Don’t let making bread intimidate you! If I can do it, anyone can. Jessica from How Sweet It Is, told me my life would change if I got a dough hook for my mixer, and she was right! I love making bread. I don’t know why, but there’s nothing like the smell of bread baking in the oven and best of all eating fresh bread, that YOU made! Yum!! Encase you didn’t know I am kind of bread crazy! “Hello, my name is Jennifer and I am a bread addict!” It’s just so good, and honestly I think bread gets a bad wrap because of the carbs and grains. I think it’s ok to have in moderation, and no diet, weight loss program will ever tell me different. I love bread to much to give up!! Just look at it!! Hopefully I have convinced you to make bread, if not, I’ll keep trying. 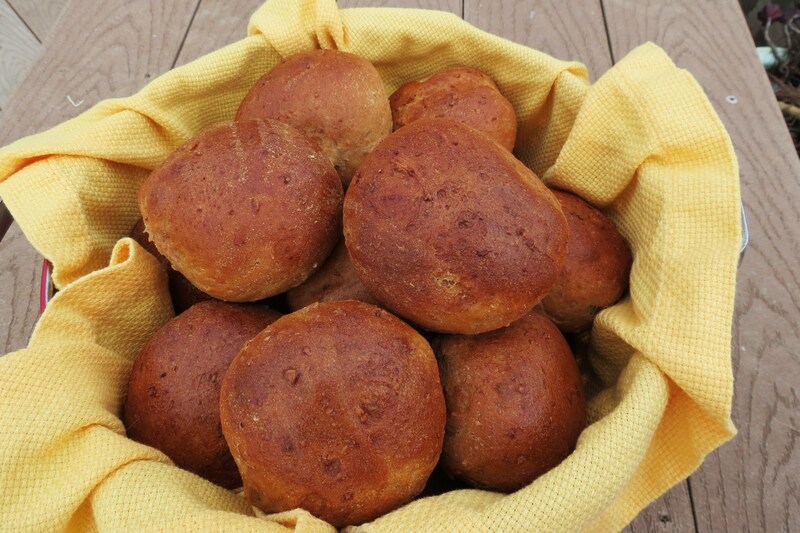 What is your favorite kind of bread? A dough hook (and a mixer in general) have definitely changed my bread-making life for the better! I love having meals or meal starters in the freezer, but don’t do it nearly often enough! wow! those rolls look perfect! I don’t made bread at home nearly enough. Oh, these rolls look fabulous!!! I’d love to have a bag of these in my freezer! YUM! These look amazing! 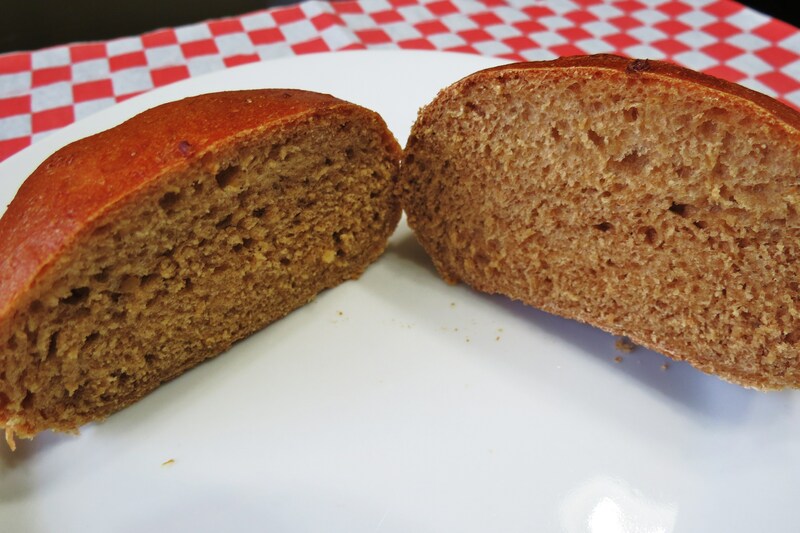 I make my own wheat sandwich bread (the BEST!) 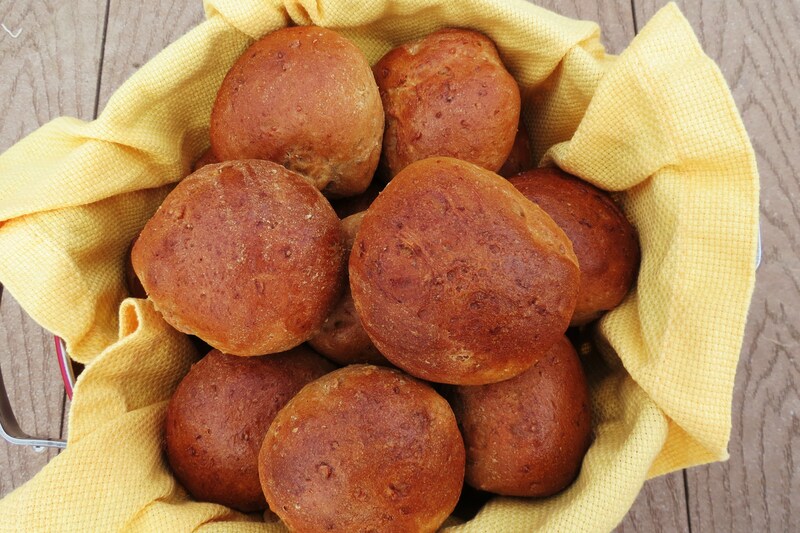 but I’ve never attempted whole wheat dinner rolls. They are as pretty and as nice as any I’ve ever seen at restaurants…you’d NEVER know it was your first attempt! Do you grind your own wheat? I have never grind my own wheat, but I think that would be pretty cool too! Have you ever? Is it hard? Do you need special equipment? I grinded oats before and almonds, but thats about it.